From then on go to the website of DSTV or use their app if supported. Please see supported devices between DSTV and Unlocator at the bottom of this page. 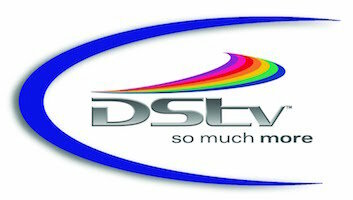 DSTV is South Africa’s leading TV channel. DSTV Now is DSTV’s live online streaming services offering an impressive list of entertainment, sports, news, and kids channels. DSTV Now also includes Catch Up TV for shows such as Dark Matter, Ray Donavon, Outlander, and Fear The Walking Dead. If you live in US, Australia, Canada, France, or UK, you cannot watch DSTV Now as it is geoblocked outside South Africa. With Unlocator, you can bypass regional restrictions and unblock DSTV Now outside South Africa. Sign up for free Unlocator account and start watching DSTV Now abroad on Amazon Fire TV, Android, Apple TV, iPad, iPhone, OS X, Vista, Windows 10, Windows 7, Windows 8, Windows XP. DSTV Now is georestricted outside South Africa. Therefore, you need to spoof your location to watch DSTV Now overseas. By using Unlocator you will able to do that. First, get your free Unlocator account. When you finish the signup process, configure Unlocator DNS on your streaming device using the setup guides listed at the bottom of this page. Unlocator allows you to access geoblocked channels like DSTV while retaining access to your local channels simultaneously. Watching DSTV Now requires a DSTV subscription. With a DSTV Premium account, you can watch the following channels online: M-Net Movies Premiere, M-Net Movies Comedy, M-Net Movies Family, M-Net Movies Action +, M-Net Movies Romance, M-Net Movies Showcase, M-Net Series Showcase, Studio Universal HD, Discovery, FoxHD, Lifetime, BBC, kykNE, Kie, and Super Sport.